Moondance is a stylish, neutral runner measuring 150 cm x 35 cm. 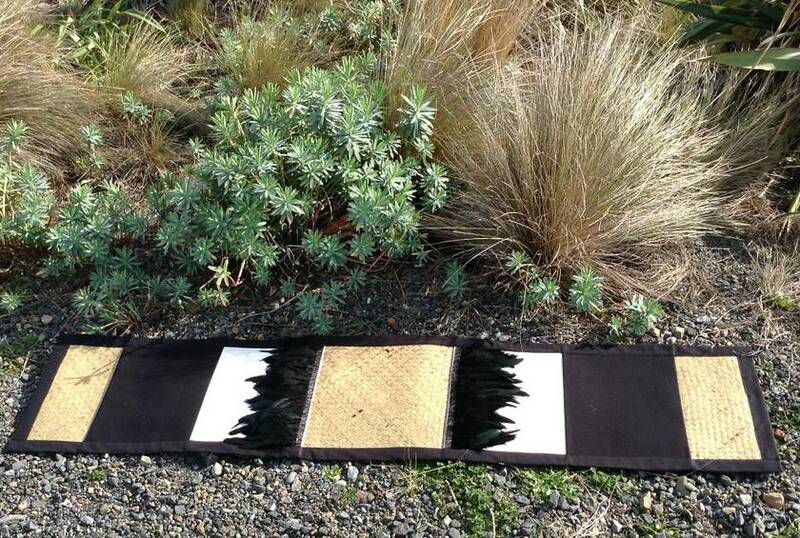 Black feathers on white fabric with a textured black cotton and natural woven flax. This runner looks superb on a dining table or sideboard. 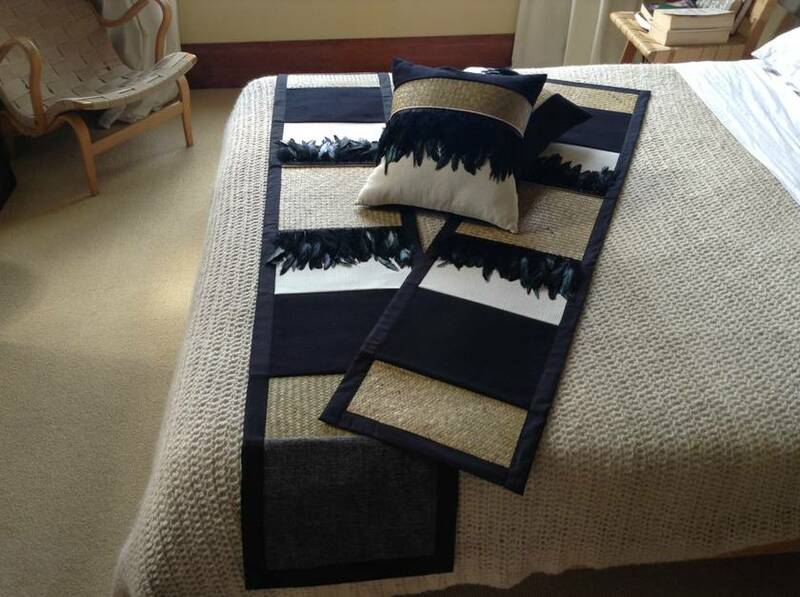 This design also comes in cushions and long runner. Contact deepgreeninc to enquire about payment or shipping options.